The New York Yankees are bringing back a franchise legend to assist them in the front office. Andy Pettitte is returning to the team as a special advisor to the general manager. While that seems like an obvious fit, the Yankees had some competition for Pettitte’s services. 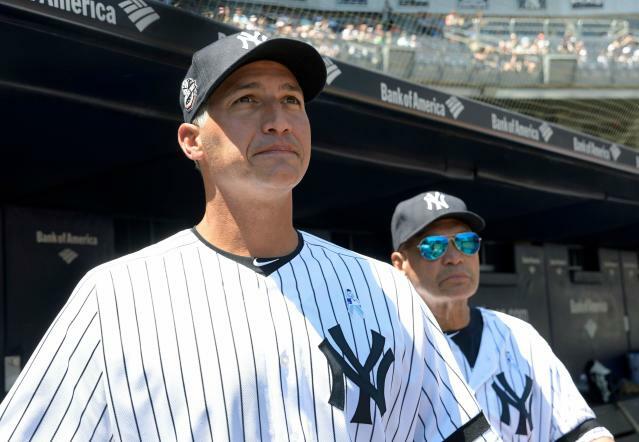 The Miami Marlins — and Derek Jeter — also wanted to hire Pettitte, but he turned them down. Andy Pettitte said that Derek Jeter asked him about joining the Marlins front office, but Pettitte's interest was being with the Yankees. That shouldn’t be viewed as a snub. Jeter and Pettitte may have been close throughout their careers, but Pettitte has no connection to the Marlins. He played too integral a role with the Yankees to work for any other franchise. So, what exactly will Pettitte be doing for the Yankees? It’s tough to say. Brian Cashman’s explanation of Pettitte’s responsibilities was pretty vague. Brian Cashman said that new special assistant Andy Pettitte will assist on the physical and mental sides in both the majors and minors. Pettitte will help on the “physical and mental sides in both the majors and minors.” That probably means he will act as a coach and advisor for pitchers in the organization. While Pettitte’s job is nebulous, it’s not like he’s the first baseball player to hold that type of role. Chipper Jones was hired by the Atlanta Braves as a special advisor in 2015, for example. Plenty of those former players have rejoined their old clubs under similar circumstances. There’s no downside to the hire. Pettitte had a successful career and it’s worth seeing whether he can pass on his knowledge to others in the organization. Making sure Pettitte wasn’t able to do that with the Marlins is just an added bonus for the Yankees.